Advertising is one of the branches in marketing, which aims with communicating with the customers about products, services, brands and companies. Advertising in internet enables the communication to entire world with cost effective ways. Banner ads are one of such internet advertisements. In this article, we will see the advantages and disadvantages with the banner ads. Banners are considered as the most visible advertisements in online. This is because of banner ads contains attractive images. The banner ads save time for both publishers and advertisers. It just needs to insert a line code and the advertiser’s website or the required link. The advertiser is allowed to select a list of websites to post the banner ads. 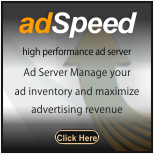 It enables the advertiser to make more targeted potential customers. With the banner ads, website traffic will be increased. If the ad is interesting to the visitors, they will look for more information by clicking the ad. Therefore, the advertiser needs to take the link directly to the information-contained page. Tracking is easy with banner ads. Putting the goals and analyzing after each campaign of those goals will give a clear idea as how the campaign is going. If a publisher using ad server, can get a monthly pay all at once instead of from each advertiser once. Brand of the ads results on effectiveness of the banner ads. If the advertiser’s brand is well established, by adding some attractive pictures viewers’ attention can easily seek. With the banner ads, your website visits will increase, but the visitors may not the qualified visitors or the potential customers. In this case, your investment will become waste. The visitors that come to your website may even come with the interest of knowing about the subject but may not with the intention of purchase. If the tracking measures and the objectives are not correct, there is a possibility of taking wrong decisions with that data analysis. A wrong decision can greatly affect the organization’s stability. For the publishers, lower pay on the banner ads makes less profit; this is a disadvantage for them. If you want to make the banner ads more attractive, you may need to hire a graphic designer for it. Banner ads may create a clutter, as there are already many ads across the internet. The banner ads are displayed in different formats on the website at the sides, top, and bottom. These are simply embedded with HTML code with images and text. When clicked on them, they will take to another website.